federal grant generators, has been chosen to receive the Distinguished Researcher Award from the Special Education Research special interest group of the American Educational Research Association, the nation’s largest interdisciplinary research group devoted to the scientific study of education and learning. The award recognizes Smith’s body of research for its significant contributions to research, policy and practice in the special education field in a career spanning nearly 30 years. He will be recognized Saturday evening (April 14) at AERA’s annual conference in New York City. Smith has focused his teaching, research and service on improving the education of children and youth in special education, particularly those with emotional and behavioral disorders. He has garnered more than $15 million in research and training grants funded by the federal Office of Special Education Programs, the Institute of Education Sciences and other national groups. Since 2008, he has been a panel scientist on the IES Social and Behavioral Education Research Scientific Review Panel. 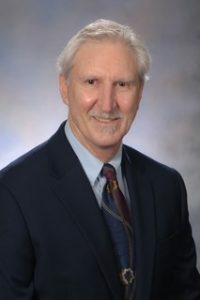 Smith perhaps is best known for his prevention science approach in studies on student behavior in regular and special education classrooms. One of his interventions, dubbed Tools for Getting Along, is a heavily researched, evidence-based curriculum designed to improve social problem-solving to prevent anger, aggression and chronic classroom disruption of upper elementary, at-risk students in high-poverty schools. The curriculum has been recognized as a top-tier, evidence-based intervention by the Rand Corporation, What Works Clearinghouse and the National Registry of Evidence-based Programs and Practices. search and scholarship. He is committed to doctoral mentorship and frequently publishes journal articles with his Ph.D. students, and he has twice been named the college’s teacher of the year.